I am not a creative cook. At all. What I am is good at following directions. I live by my cookbooks- but some of them like to get all “fancy” on me, and during the week, who has time for that? Really. Not your average mom with kids, not your working parents- not many people. Sure, you bust out the fancy cooking now and again, but for regular nights- you need something that is fast, easy, and that everyone will eat (but still has nutritional value and is good for them). If you are in the market for a new cookbook, want to try out some new recipes to shake up your dinners (hey, we all get in ruts), or just love to cook- try this one out, it has become a favorite in my house. (It really is fast!) Pick yours up on Amazon or wherever books are sold. 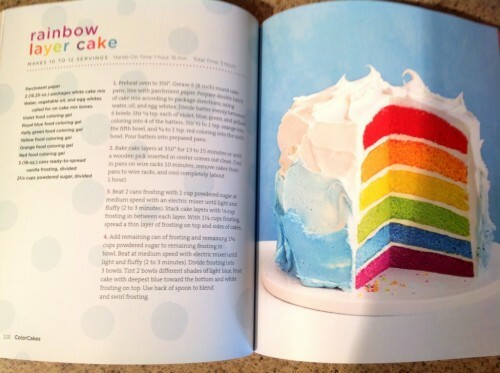 Disclosure: The Simply Sweet ColorCakes Cookbook was provided for me in order to facilitate my review. All opinions are my own and honest. I am disclosing this in accordance to FTC Guidelines. Please see “Disclose” tab for more information. I love to cook, but even more importantly I love to bake. 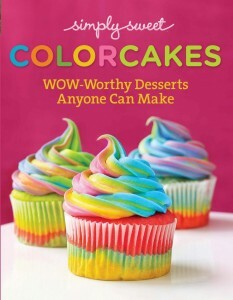 I was so very excited to receive this awesome new cookbook: Simply Sweet ColorCakes Cookbook. Get stunning rainbow looks for your favorite desserts – amazing tie-dye, ombre, layered, and hidden “surprise inside” color effects for cakes, cupcakes, and more, made easy. With Simply ColorCakes, you can tie-dye, layer, and sprinkle your way to baking bliss! From Polka-Dot Layer Cake to Rainbow Cake Pops, this complete guide offers over 100 recipes and incredible photos for creating adorable, bakery-style desserts at home. I was sent this book for the purposes of this review. Although I was sent this book for free, all opinions are my own. I was absolutely intrigued by the book, The New Southern Table by Brys Stephens. Being that I am from the Northwest and have always lived in this region, I do not know much about southern food traditions. I have never let Okra touch my lips and only in the past few years have I gotten very adventurous at all with my pallet. 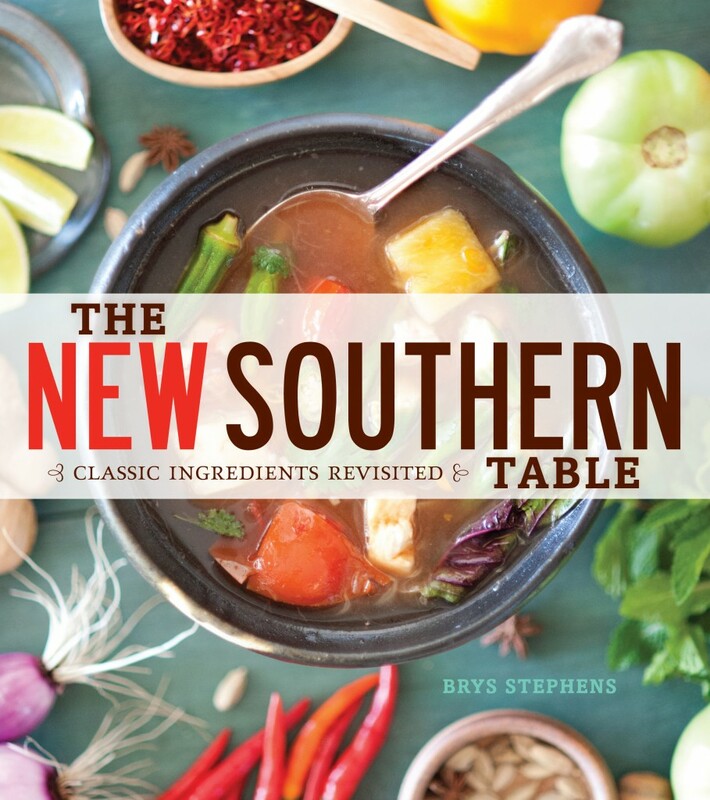 The New Southern Table looks at traditional southern ingredients such as peaches, okra, greens and “flips” them. They are made in not traditional ways in order to create a whole new desire for the staple ingredients in the southern part of the US. The book had amazing reference material about how a diet low in sugar and inflammatory foods and ingredients that are high in healthy fats, protien, antioxidants and key nutrients is the best course of action to prevent and reverse heart disease. My favorite section was “Foods For A Healthy Heart”. I learned that Sugar, Processed Foods, Trans Fat, and Processed Meats are the enemies when eating for a healthy heart. It gave you a detailed summary of exactly why these types of foods were bad for you and things to look for. Did you know that just because a label boasts “zero trans fat” that doesn’t mean it actually is? If you read the label and it has the words “partially hydrogenated” the product has trans fat and needs to be put back. Labels are your best friend and you need to read them carefully! Who doesn’t love comfort food? How about a few of your favorites at the same time? I thought so. 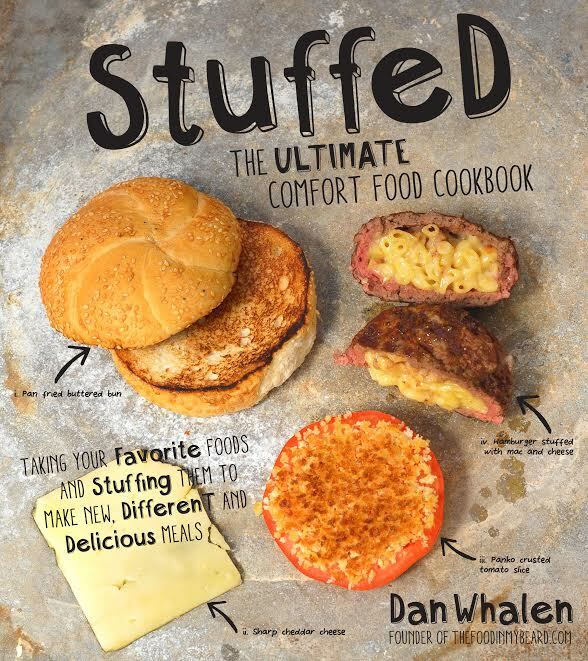 This cookbook is fun and has a lot of interesting recipes in it- jalapeno stuffed with mac and cheese? What? Yes. It’s all true. What’s not to love about this book? Not much- most of it is pretty mouth-watering and enticing. I won’t lie, nothing I made came out half as pretty as the things he cooked, but then, I’m not a professional (that’s what we are going with). Most of it came out well, even my son and husband were happy with the results and glad guinea pigs. 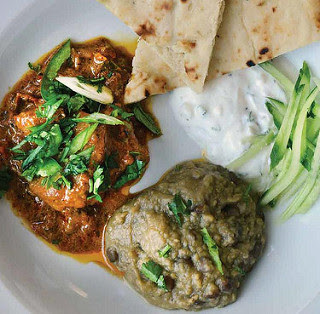 Check it out for yourself- these recipes will certainly shake up your menu, and even offer cool ways to use your leftovers. I was sent a copy of the book, “Great Homemade Soups: A Cook’s Collection” by Paul Gayler in order to facilitate this review. All opinions expressed are my own. This notice is in accordance to the FTC’s requirements for compensation in online advertizing. One of the things I most enjoy cooking is soups and sauces. It is amazing to me how something so simple can really be amazingly filling and so rich in flavor. 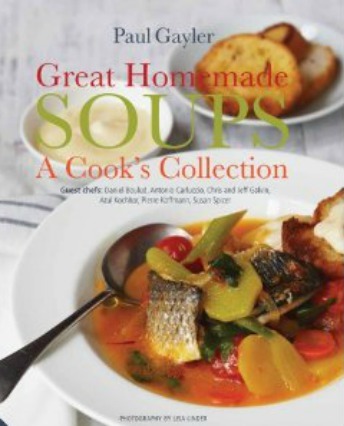 I was very happy to review the book, Great Homemade Soups: A Cook’s Collection by Paul Gayler as I am always on the hunt for new ideas when it comes to soups making. My husband has been a great guinea pig over the years at my soup attempts. When I attended culinary arts school, I excelled at soup making. It was amazingly easy for me and I was a bit surprised that I enjoyed the art of a saucier so much. I have a great respect for any chef that creates works of art through soup making and opened the book to find I was not disappointed. I received a copy of Couture Chocolate: A Masterclass in Chocolate by William Curley to facilitate this review. All opinions expressed are 100% my own. Chocolate: it’s one thing most people love in an almost sinful way. You can make cakes, cookies, bars, drinks, truffles and treats of all kind with it. The art of skillfully creating with chocolate takes a certain type of culinary talent, not one that I posses. However, it doesn’t stop me from enjoying a book on the subject. Couture Chocolate: A Masterclass in Chocolate BY William Curley is absolutely amazing and awe-inspiring. The book contains recipes and techniques for tempering and creating some of the most decedent chocolate treats I have ever seen. Couture Chocolate is as beautiful as it gets. The photos are absolutely stunning and look like display pieces one would see in some sort of chocolate museum. They truly are works of art. 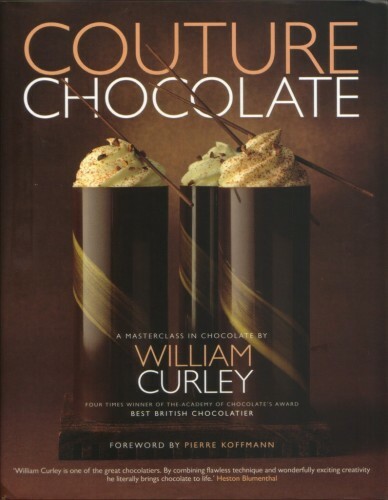 William Curley is an amazingly talented chef and has truly mastered the technique of working with chocolate based on his creativity in this book. I enjoyed the little bit at the beginning about his experiences with working with chocolate as well as the many photos that show some of the most difficult chocolatier techniques to preform.